Natural beauty expert Sandy Gold shares why raiding your fruit bowl could be the key to a glowing complexion. You may be aware of the best seasonal fruit for salads and snacking, but have you heard of the best ones to apply in the summer? Probably not. 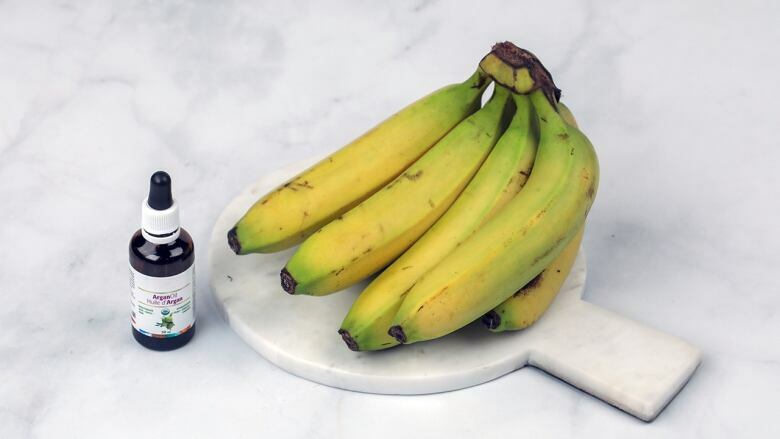 Face masks are everywhere in the beauty world right now, but these DIY varieties with fresh fruit can help provide your skin antioxidants, vitamins and phytonutrients. They're also the perfect way to use up ripe fruit that's a little past its prime. So to teach us how to make these super simple skin savers, natural beauty expert Sandy Gold stopped by The Goods to show off her favourite fruit face masks that will make you look fresh for the season. Mangoes are often called the "king of fruits" due to their numerous health benefits. They're loaded with vitamin A and C, as well as antioxidants and beta-carotene, which are great for overall skin health. Kiwis are also full of vitamin C, helping to boost collagen production. Plus the little black seeds in kiwis contain omega-3 fatty acids and act as tiny exfoliators to help gently soothe the skin. 1. 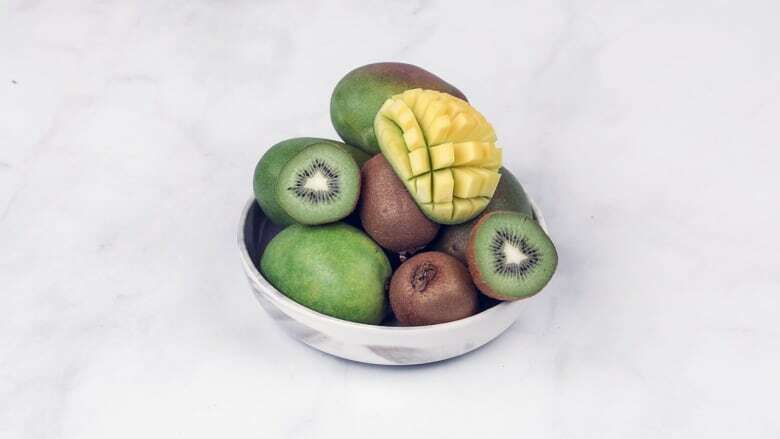 Mash mango and kiwi in a bowl. 2. Apply to face using a clean foundation brush. 3. Leave on for 10 minutes and then wash and rinse off. Pat dry. this mask is great for helping to get that summery glow. 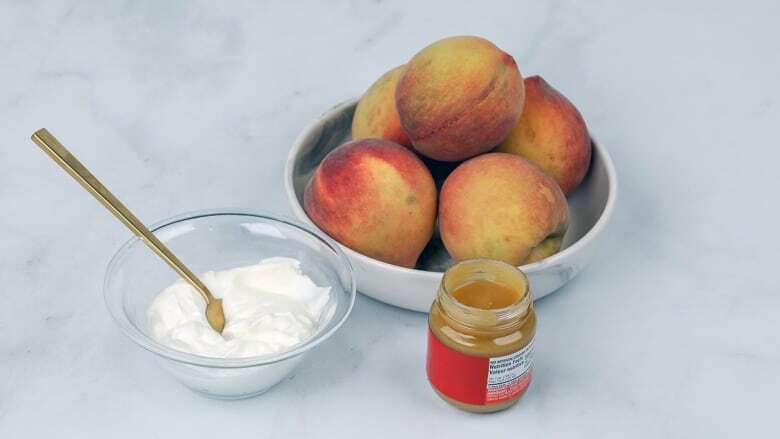 Peaches are high in vitamin A and C and contain 6 of the B-complex vitamins that are great for skin. Plus the yogurt contains lactic acid that helps smooth and brighten skin just in time for summer. 1. Mix puree with yogurt. 3. Leave on for 10 minutes, wash and rinse off. Pat dry. This mask is incredibly hydrating and it perfect for when you've gotten a little too much sun. Bananas are high in potassium which helps to keep the skin moisturized and hydrated, plus soft and smooth. Argan oil will help to hydrate even the driest skin because it's rich in antioxidants, vitamin E and essential omega fatty acids. Olive oil is also super moisturizing so it's the perfect substitute if you don't have an argan oil hanging around the house. This recipe can also be used in the hair to rehydrate sun or chlorine damaged hair. 1. Mash banana with argan oil or olive oil. 2. Apply on the face using a clean foundation brush. Nothing says summer more than watermelon! They're packed with water and phytonutrients that can help hydrate and replenish the skin. This is so easy you can do it while lying on the beach to rehydrate the skin in a snap. 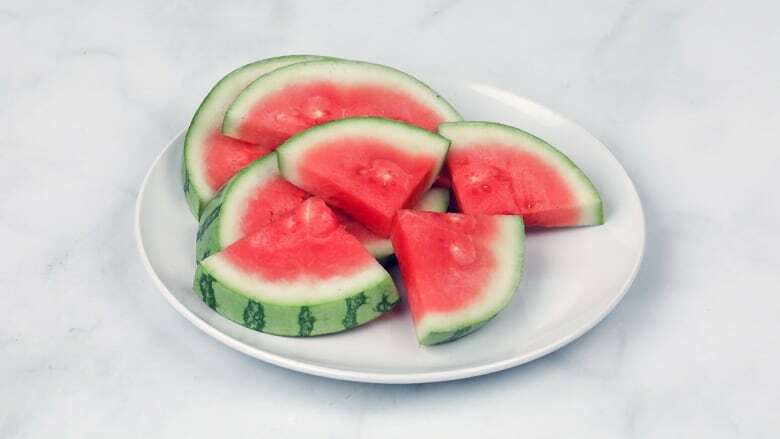 Just pack some watermelon slices in your picnic basket and they'll instantly cool and soothe the skin. 2. Lay them on your face, one on each cheek. 3. Leave on for a couple of minutes, then remove and rinse your face.